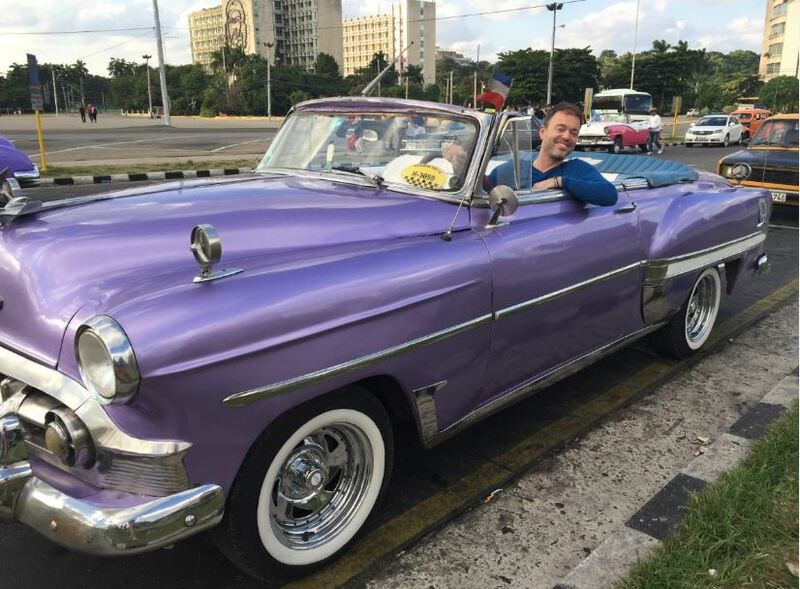 The lure of fresh mojitos and Cuban cigars have piqued your interest, and now you want to travel to Havana. Before you book your trip, here are nine tips that will ensure you get the most out of your first Cuban adventure. 1. Do not check luggage. This tip is first for a reason. Do not check a bag, because you may not get it back. Just ask my friend. Cuba is still a communist country, and the government can do whatever it wants with your luggage, including everything in it. If you must check a bag, use an airport service such as Secure Wrap that wraps your luggage in plastic film. 2. Hire a guide. Our guide, Ruben, put together a sample itinerary before we left for Cuba, and his services were inexpensive. Plus, he was an outgoing guy who spoke English very well and knew every inch of the city. 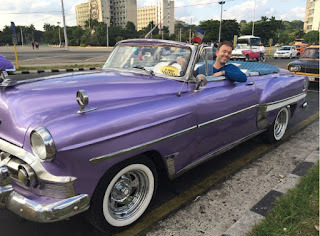 His choice of authentic restaurants, lodging, what classic cars to hire, local attractions and history of Cuba made our first trip to Havana, well, perfect. He was also a great translator (and negotiator) for us. 3. Stay in a casa. A casa, or someone’s home with rooms converted into hotel rooms, is the best way to experience Cuba, especially in Old Havana. Most casa rooms have private bathrooms and excellent accommodations. Our casa (Hostal Acosta Gonzalez )served fresh fruit, juice and coffee every morning for breakfast. Traditional hotels can be expensive and away from the city’s character and attractions, so ask your guide to stay at a casa. 4. Bring cash. U.S. credit and ATM cards will not work. You have to exchange your currency into either Cuban Convertible Pesos (CUC) or Cuban Pesos (CUP), and you can only do that in Cuba. Most items for purchase are listed in CUCs, and they are 1:1 in value to U.S. dollars. Exchange places do charge a hefty commission, however; around 10 percent. The good news is your money will go a long way in Cuba. You can also wear a money belt to stash your cash, and most casas and hotel rooms have a safe. And is Havana a safe city? Absolutely. 5. Buy a WiFi card. If you want to surf the internet while in Havana, buy a WiFi (pronounced Wee-Fee) card. The cards are usually around $2-$3 for an hour and can be purchased near local WiFi spots. If you do use a WiFi card, remember to log out after you’re finished or your paid time will expire. My recommendation is to simply unplug and enjoy your vacation, and you can register with the U.S. Embassy in case of emergencies. 6. Have a stash of coins for the bathroom. Some public bathrooms have attendants outside who require a price for admission, especially for women. I’m not kidding, and forget about trying to negotiate. If you want to use the bathroom, and would like some paper, drop a CUP coin or two in the basket. 7. Buy a Cuban cigar. Tour a cigar factory and watch how this famous export is rolled. Just don’t purchase them in the factory’s gift shop. There are plenty of locals who will sell you a box (around $50, rather than $250), and be sure to ask your guide about the Cuban marriage: a Cuban cigar, Cuban coffee and aged Cuban rum, tasted together in one sitting. 8. Pay attention. Havana has more than two million residents, and if you don’t pay attention while walking around, they may run over you. The city is constantly abuzz with classic cars, taxis, bicycles and walkers. Then factor in the numerous bumps and holes in the streets and you’re likely to turn an ankle if you’re not careful. But hey, since you’re not looking down at your cell phone all day, you should be okay. 9. Pay it forward. Residents of Havana, according to our guide, earn about $20-$30 a month. So pay it forward and bring items such as clothes, shoes, and shampoo and conditioner samples to donate (collect them from U.S. hotels). I packed for Cuba with the intention of leaving behind most of what I brought. The owners of our casa were very appreciative of the gesture, and it was the least we could do for their hospitality.